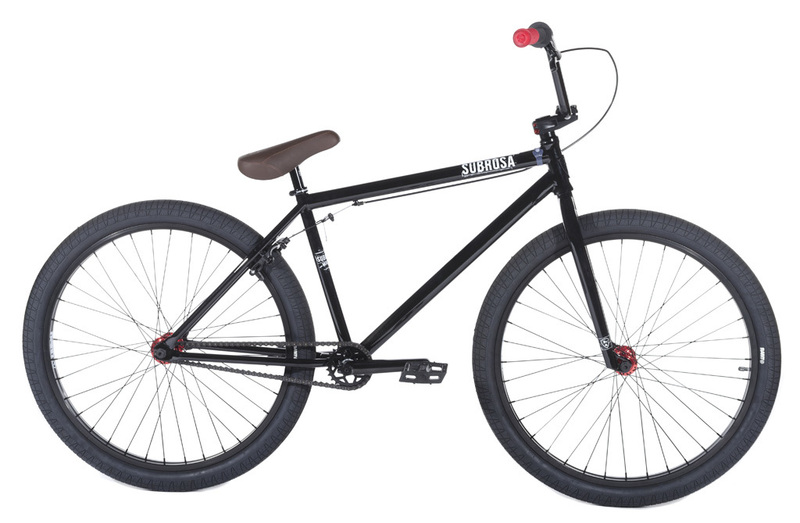 The Subrosa 26″ Malum is a new addition to the Subrosa lineup for 2015. It features a full chromoly frame (with an ovalized downtube) paired up with full chromoly forks and handlebars (7″ X 28″). You can find the rest of the specs here: 2015 Subrosa lineup. Not too shabby but I’m not sure if I dig this as much as last year’s offering from Subrosa: the DTT TTWOFOUR frame and fork. Word on the street the DTT TTWOFOUR is no more for 2015. Which is a bit of a shame really because that frame was one of the more unique frames on the market last year. If Subrosa decided to offer that as a well-spec’d complete…now that would be something! Looks like a Volume Sledgehammer. I am feeling the need to have them build a Gates Drive compatible 29er version of this. I meant to post this on the Standard custom post. Freakin scotch. I wonder how this compares to the Stolen Zeke. The Zeke doesn’t have sealed hubs but you could pick one up for around $400 when they were in stock.